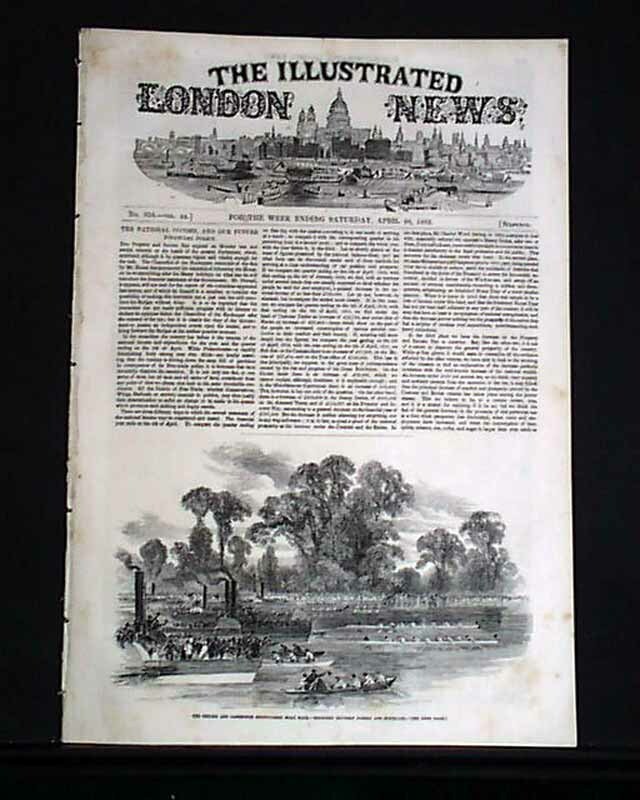 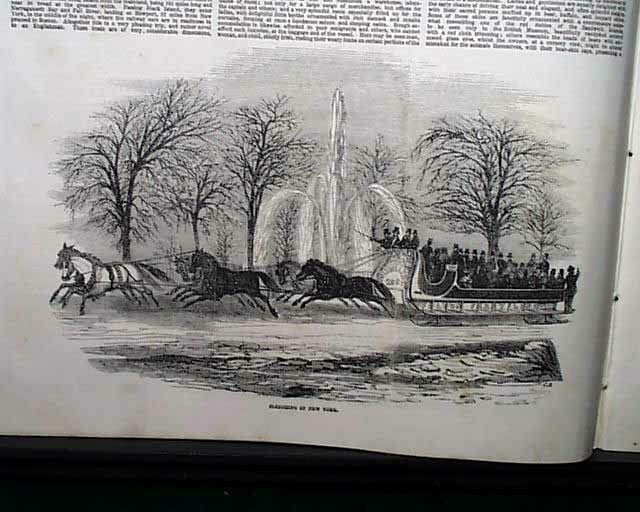 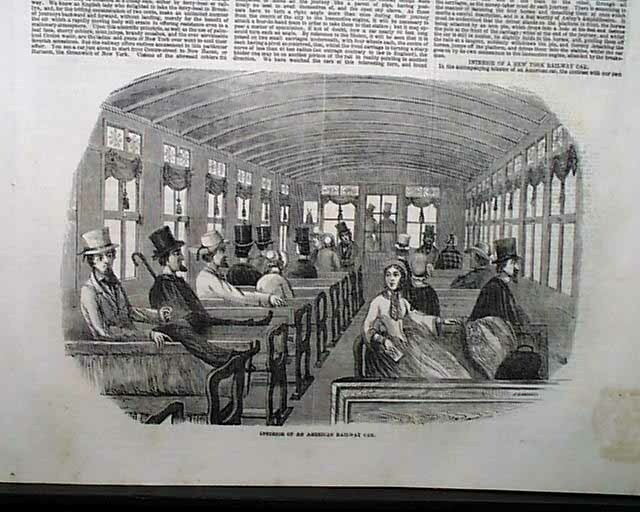 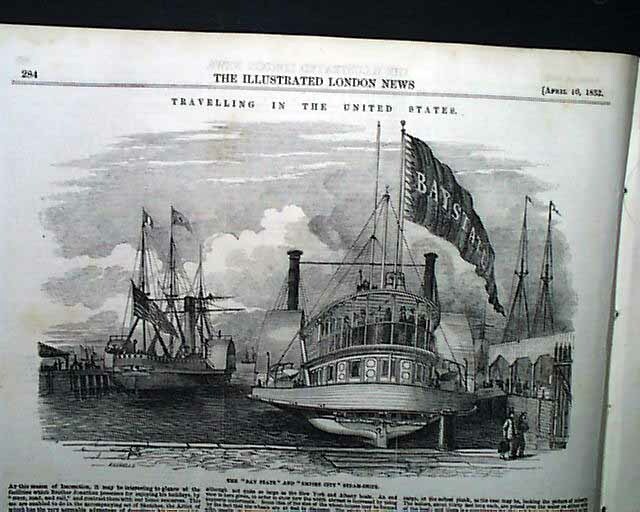 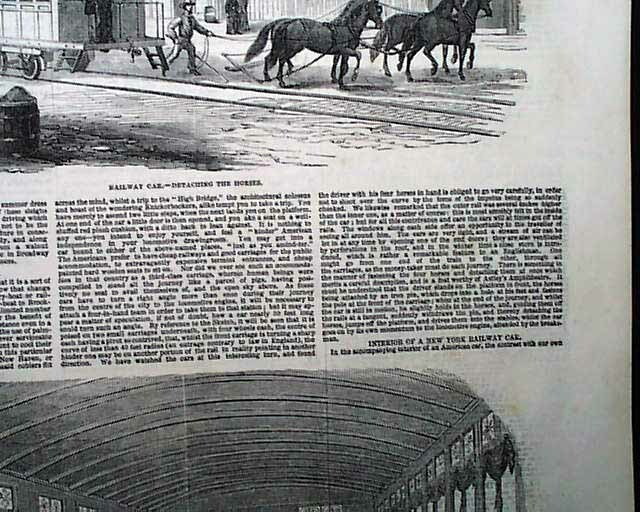 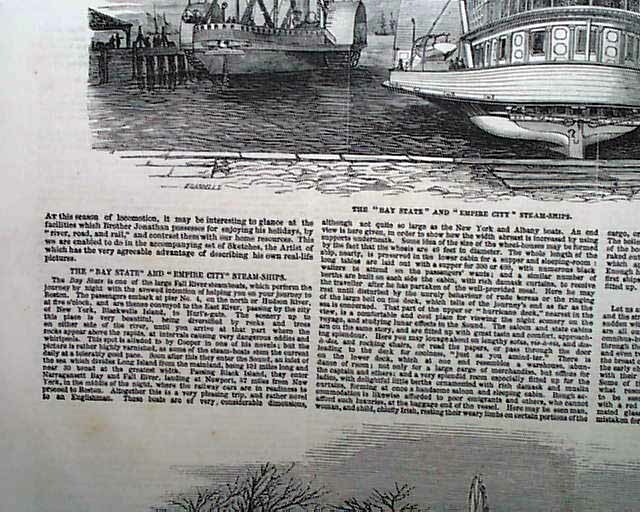 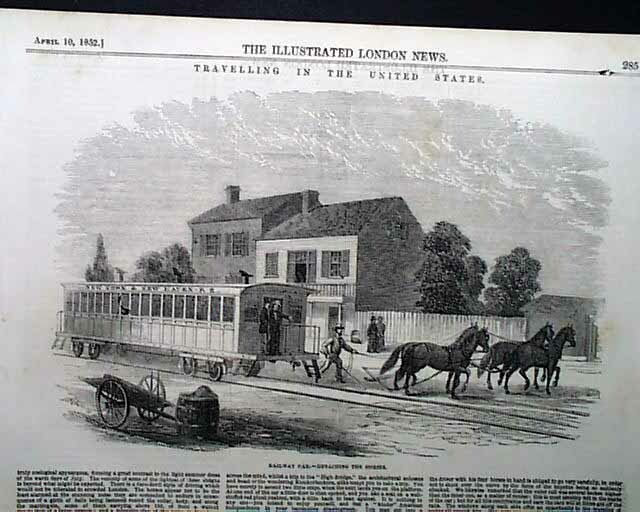 ILLUSTRATED LONDON NEWS, April 10, 1852 Included are two pages of: "Traveling In the United States" which includes four prints including steam ship, sleighing, and railroad (see photos). 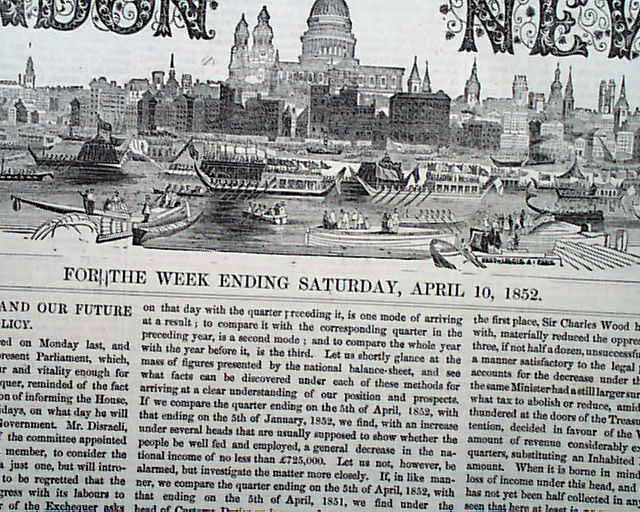 Good text as well. 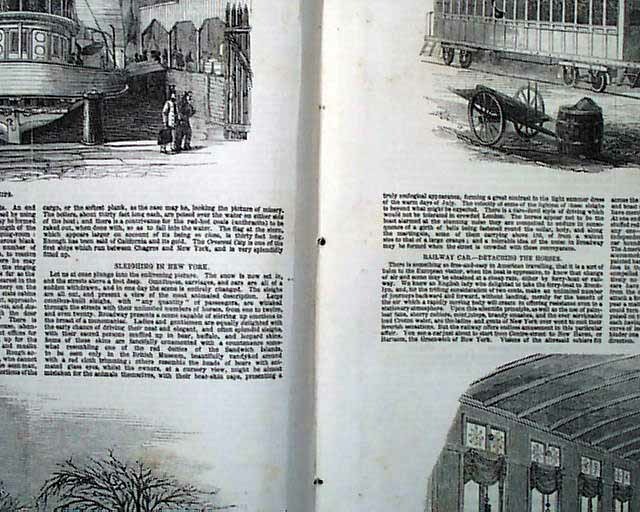 Sixteen pages, in nice condition.